So it's been a while, let's see where we left off. It's good I keep notes, though not very good ones. 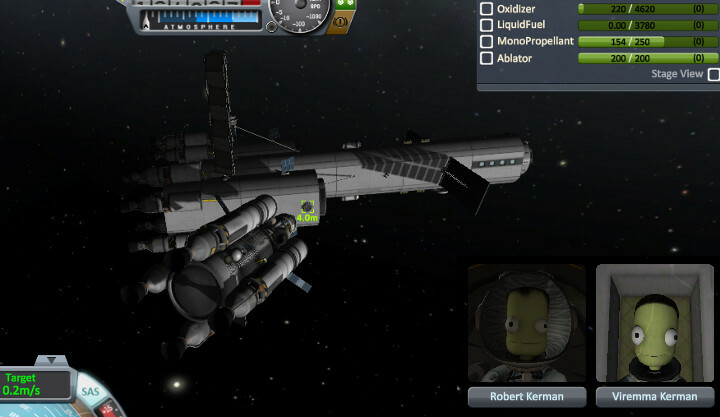 That's right, our first ship is approaching Jool. Where were we taking it? Oh, it's a rescue ship! So we're trying to help the one group that had a bingo fuel disaster near Pol. 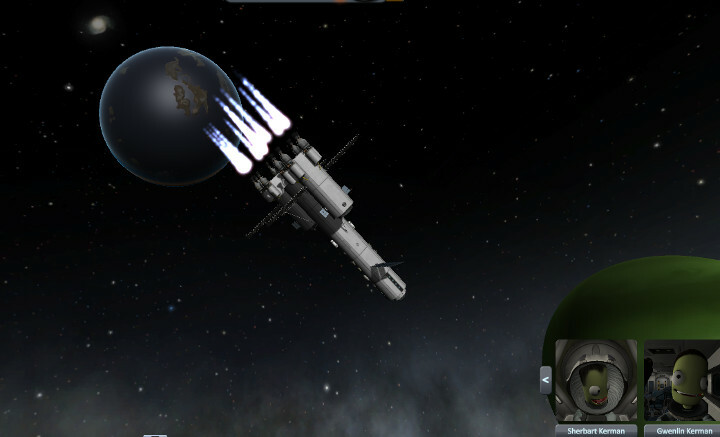 There was another group we were also supposed to rescue but they seem to have been ejected from Jool orbit. Oops. Robert decided he wanted to go to Laythe. Viremma wasn't sure she wanted to be stuck all alone if that went poorly, so she moved over to the bigger ship. Very carefully trying to maneuver with off-axis thrust. 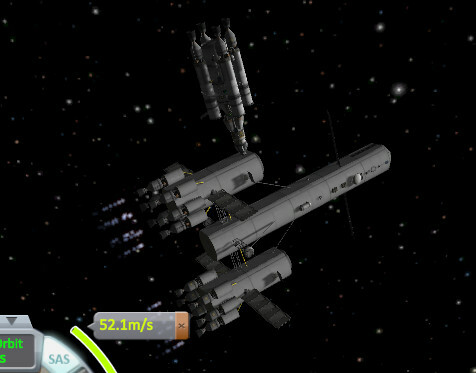 We only needed 50m/s so it was doable, barely. It's eleven days to Laythe, but right smack in the middle the evil twins in orbit near Eve did a massive burn for unknown reasons. It took a long time for just 1000m/s, though part of that was the huge ore load we were carrying. We should probably convert that while sunlight is plentiful. 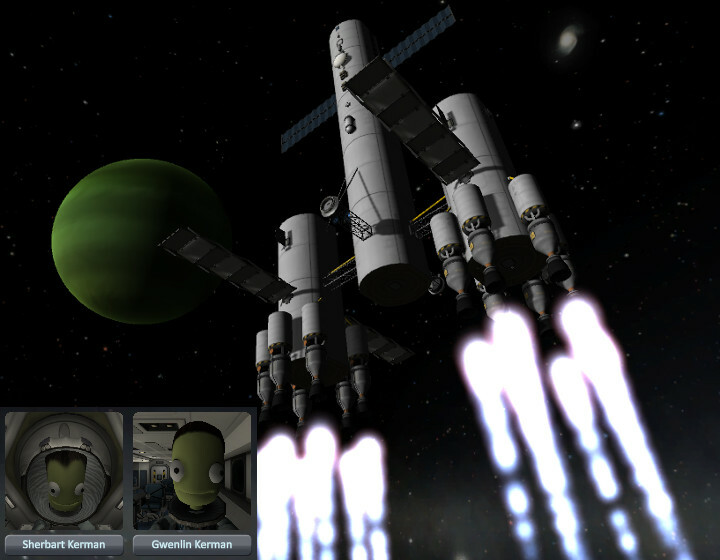 Back to Jool, time to go our separate ways. Good luck Robert! 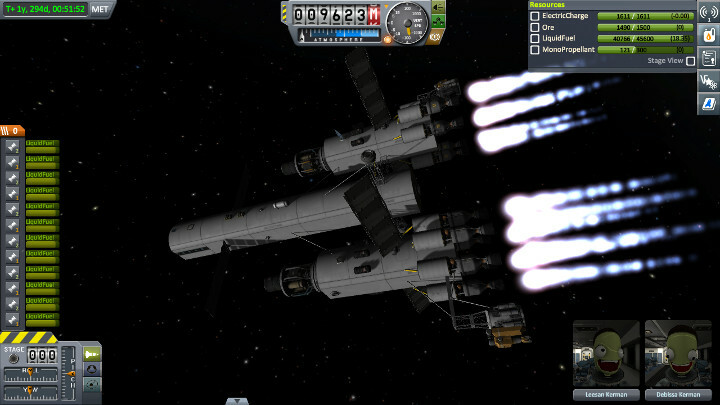 Braking for Laythe. Hopefully we transferred enough fuel over. Meanwhile the rest are zipping around Laythe and heading for Tylo for unclear reasons. 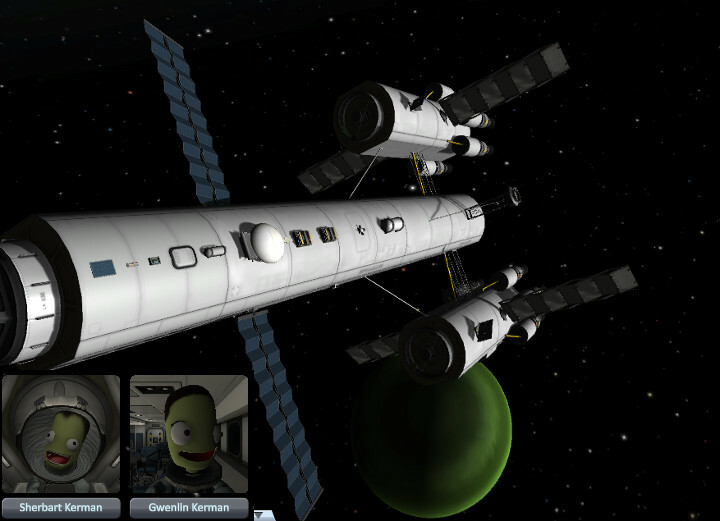 Safely around Tylo, for now. There's another ship arriving in the Jool system in a few hundred days, we'll see if the completion of Operation Patillas is at hand or not.